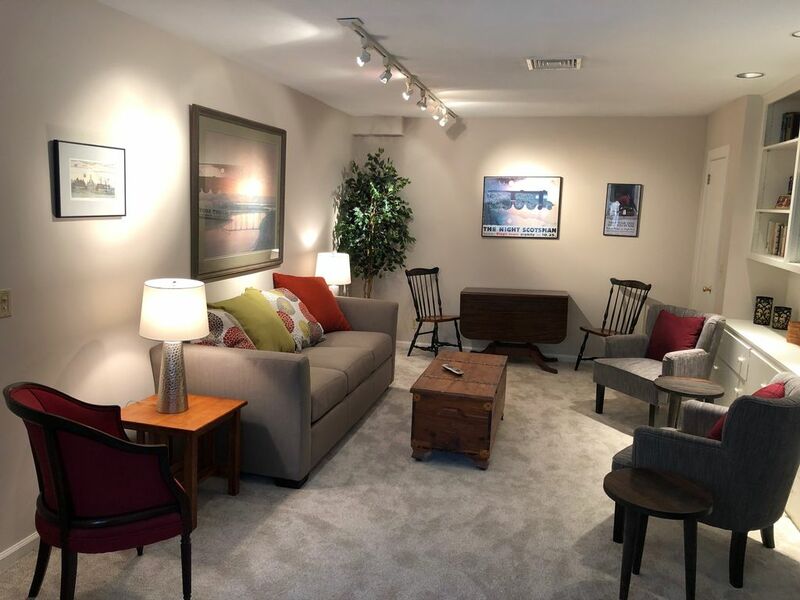 Enjoy the Litchfield Hills from this newly renovated one bedroom apartment with private entrance. Amenities include full kitchen, living room, bedroom with queen bed, and full en suite bathroom. WiFi and cable TV included. All located less than 2 miles from historic Litchfield Center. Our property borders on the White Memorial Foundation nature preserve, with over 40 miles of hiking trails. Mohawk Mountain Ski area in Cornwall and Ski Sundown in New Hartford are only a short drive away. Located in the town of Litchfield, the Hideway offers a comfortable place from which you can explore all that Litchfield County has to offer. Here you will find great restaurants, vineyards, shopping, antiques and galleries, all in the beautiful town of Litchfield. The surrounding countryside offers the outdoor enthusiast access to local lakes, rivers, trails and ski areas. Steeped in Colonial history, Litchfield's historic attractions include the picturesque Village Green, First Congregational Church, Tapping Reeve Law School (first in the United States and attended by Aaron Burr and John C. Calhoun), and the home of Oliver Wolcott, signer of the Declaration of Independence. Located close to area private schools and event venues, this is the perfect place to stay when visiting town for weddings and school events.